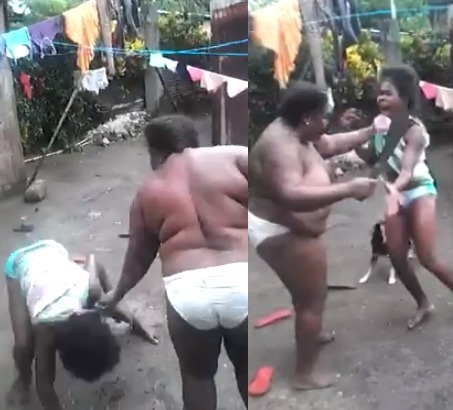 A video has surfaced online of a woman beating her daughter mercilessly with a machete in St. Thomas, Jamaica. It was gathered that the video was recorded in 2016, it found its way to the internet on Sunday October 1st and has been generating a lot of reactions. According to Jamaican media, the mother has been arrested and currently in police custody.